“Laura, my husband hates my son,” stepmom Staci lamented. “I’m not exaggerating. It’s so obvious that even our friends and family notice,” she continued. “My spouse denies it and says I’m too easy on him and that I’m raising a “mama’s boy.” But the tension and anger are real. This is a very serious stepfamily situation that requires immediate attention. No child should be raised in a home where an adult is obviously and repeatedly antagonistic towards the child. 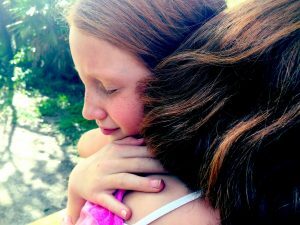 Whether its a stepdad or a stepmom that has unloving responses, as the child’s parent it is your job–your duty–to protect your child from harmful behavior in the home. Stepparents often see their stepchild through a different lens than the parent. It can be a good thing, because it gives a fresh, objective perspective on a situation. It also can be a bad thing because they might not have the same bond and/or compassion that a parent has with the child. Regardless of the reasons it’s crucial for the situation to be addressed immediately. Here is a progression of steps that I recommend. 1. Speak calmly in a composed manner to your spouse. If you address this in a confrontational manner it will only cause tension and an argument. 2. Address facts not emotions. People, especially men, do much better in understanding a situation when they have concrete illustrations as opposed to random comments. “John, when you looked at Justin’s report card and said, ‘You should have gotten an A in that class’ he was devastated. And last week when he couldn’t assemble the toy correctly, you snapped at him. He wants you to be proud of him. I don’t think you realize how often you criticize his performance.” Speaking this way as opposed to, “John, you are so critical and condescending to my child,” will get to the root of the matter. Am I willing to discuss my child’s behavior in an objective manner? 4. Evaluate Your Single Parenting Life Were you good at disciplining your kids before you got remarried? Be honest. Is it possible that you were either too tired, or too stressed, to set healthy boundaries and consequences? Did you parent out of guilt? And if so, are you still doing it? 5. Obtain an unbiassed perspective. 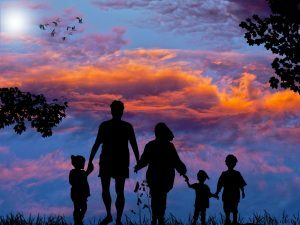 When it comes to stepfamilies, and resolving conflict, a third party is often the wisest step forward. A person who doesn’t have an emotional attachment to the situation, and can see it objectively, is the best choice. That’s why family members typically aren’t the best choice for this role. 6. 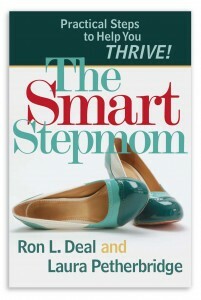 Make certain the advisor understands the unique dynamics of a stepfamily. I’ve lost count of the number of couples who received destructive instruction from well-intentioned friends, mentors, pastors and counselors. Their advice would have worked great in a first marriage, but it caused further injury to the second marriage. The dynamics are radically different in a blended family. 7. Take Action. If after doing the previous steps your spouse continues to harm your child, you must stop it from continuing. Based on the severity each circumstance will be different. There is no cookie cutter answer on what to do next. But the first step is to clearly and calmly explain to your spouse that you will not tolerate it. And then explain what consequence will follow if your spouse chooses to continue. The child’s other parent has every right to remove the child from your home if you do not protect the child. 8. Communicate Clearly Getting expert advice from a professional regarding which boundaries are the most effective in your situation is an excellent step. Let’s use Megan’s situation as an example. After Megan has followed the steps mentioned, if her husband continues to treat her son in a hurtful manner she needs to say, “I can no longer allow my child to be treated this way. Are you willing to admit we need help? Do you recognize that you blame my son for every sibling fight without even knowing the details? Are you willing to strengthen our marriage by getting professional help? If he says yes, then getting couples counseling, then perhaps adding the child is next. If John digs in his heels and says no, he wont get help, then Megan has big decisions to make. 9. Finding the Appropriate Boundary. Setting healthy boundaries is not about punishment, anger or revenge. The goal is to improve the situation by not remaining in the destructive dance that perpetuates more harm. Typically, people will not change toxic behavior unless they experience an undesirable consequence. 10. I’m NOT Suggesting Divorce. Some people will automatically assume I’m suggesting a divorce. Nothing could be further from the truth. I would suggest doing everything possible to avoid a divorce. John’s choice over getting help is the pivotal point that will dictate a result–good or bad. When we choose the behavior, we also choose the consequences. As I mentioned previously there are no easy answers on how to implement the necessary boundaries if your spouse refuses to take any responsibility for his/her actions. A wise therapist, life coach, or counselor who specializes in stepfamily dynamics will likely be required to help someone in Megan’s situation. The outcome in situations like this are determined by how Megan (the parent) proceeds, and if the husband (stepparent) honors his vows, marriage and wife enough to get help. Megan cannot make her husband do the wise thing. She can only change her behavior if she discovers she is coddling her child. And she can learn how to stop enabling her husband when he makes destructive choices. If he or she would rather be right than married, it could end the relationship.